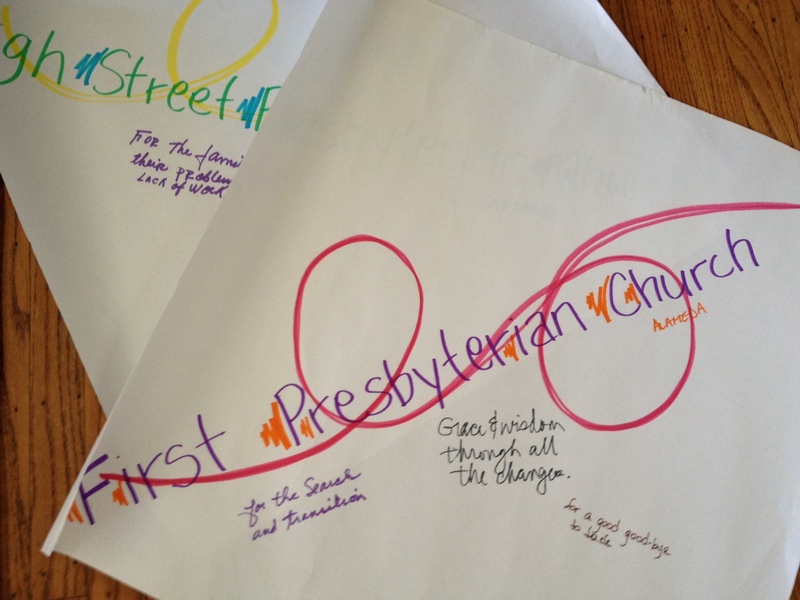 Here is a prayer activity idea that can be easily incorporated in presbytery meetings or any church meeting. This will require lots of preparation on the organizer’s part so I would recommend planning way in advance. This is what I did at a presbytery meeting I was organizing. The Presbytery of San Francisco has 76 churches. Using newsprint, I wrote the name of each church on 24 x 24 sheets of paper. I taped them up on walls in a room, where commissioners and visitors were invited to write prayers for any churches they had prayers for. They were able to do this throughout the long meeting whenever there was a break in the meeting. 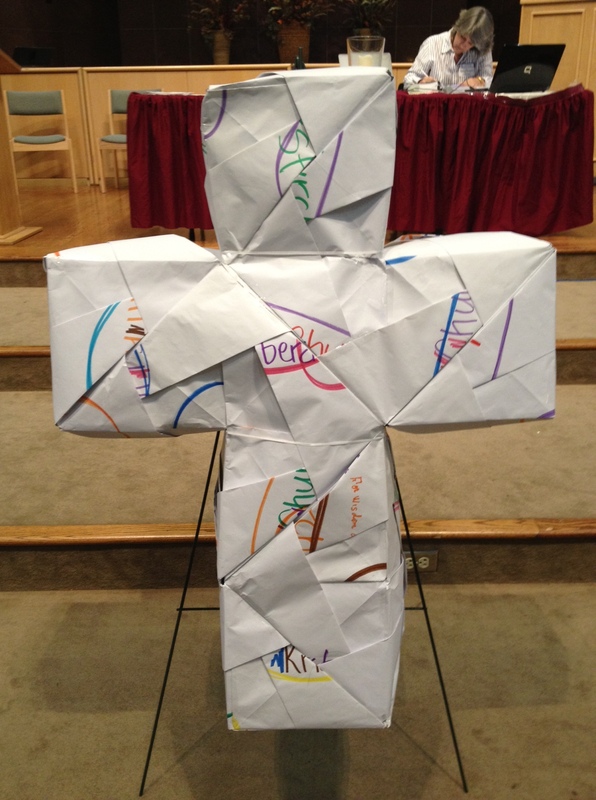 These pieces of paper were then folded into hexahedrons and assembled into three large origami crosses. It takes 26 pieces of paper to make one origami cross. I stuffed the crosses with newspaper and secured them with tape. At the following presbytery meeting, the crosses were displayed at the meeting, reminding us of our collective prayers for our churches. 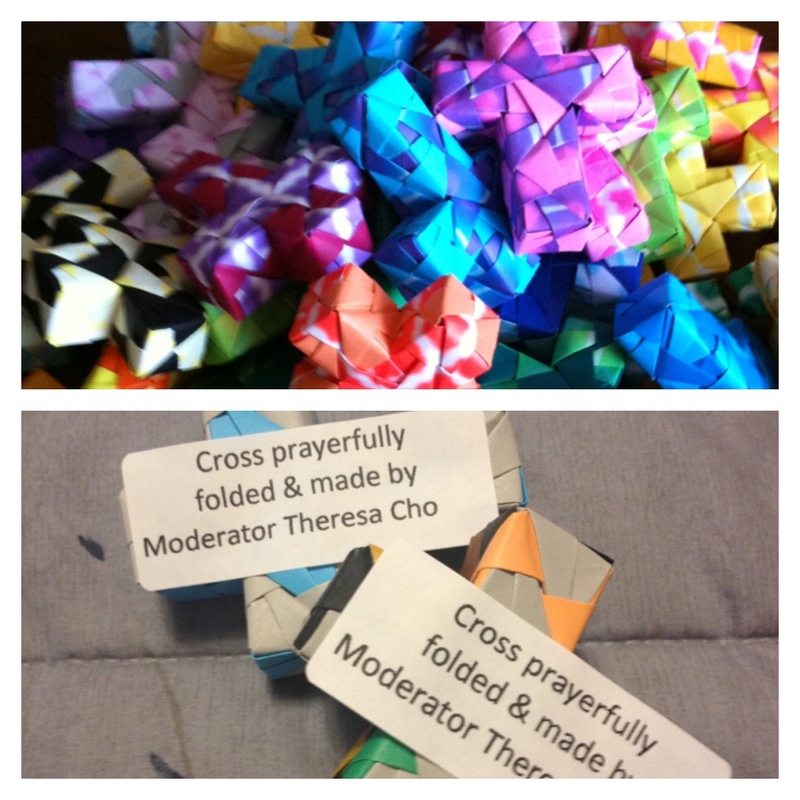 As a reminder to continue praying for our presbytery and our churches, I made a miniature version of the origami cross for each commissioner to take home with them. 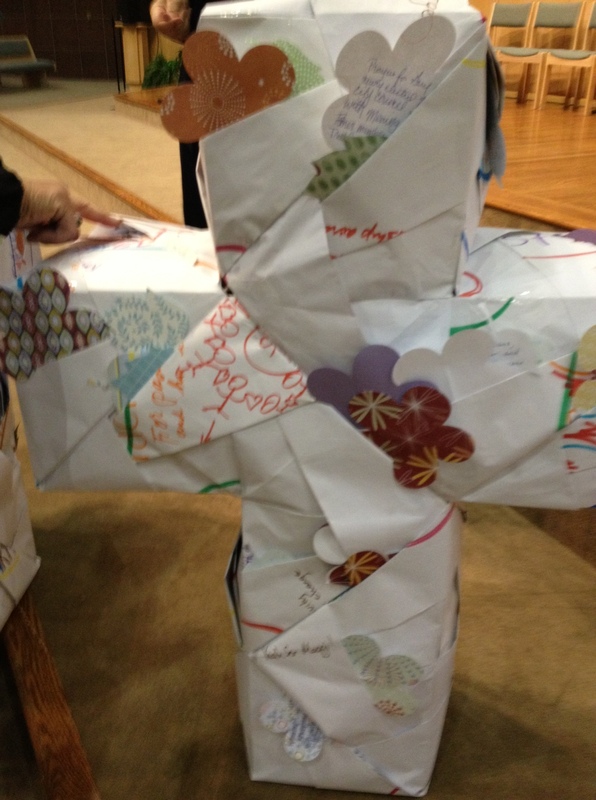 During worship, all were invited to write personal prayer requests on paper and come forward to tuck it in the folds of the crosses as their offering. And there you have it – a prayer activity that weaves in multiple uses of prayer over two meetings. 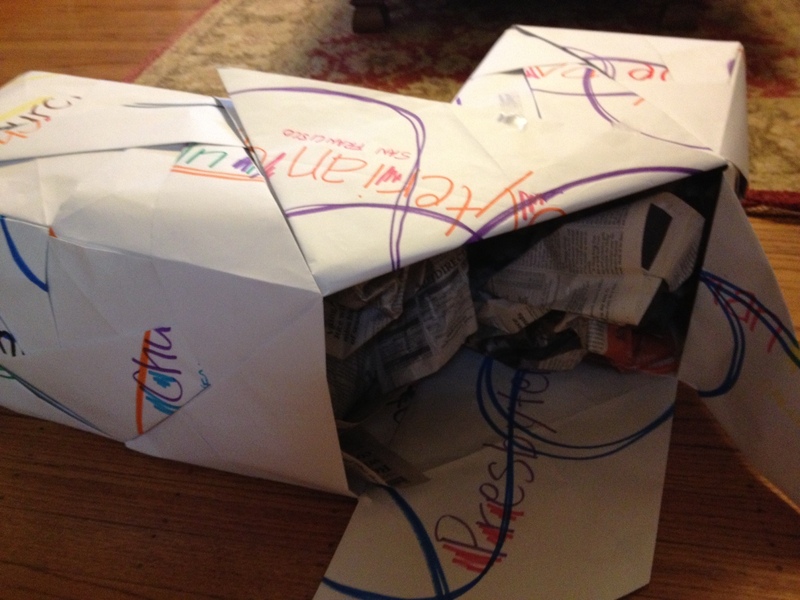 Afterwards, you can just pop them in the recycle bin or continue to display them for other meetings. Unfortunately the YouTube link I used doesn’t work anymore. I’m not aware of instructions any where else but you could try googling and see if you have any luck. Sorry!